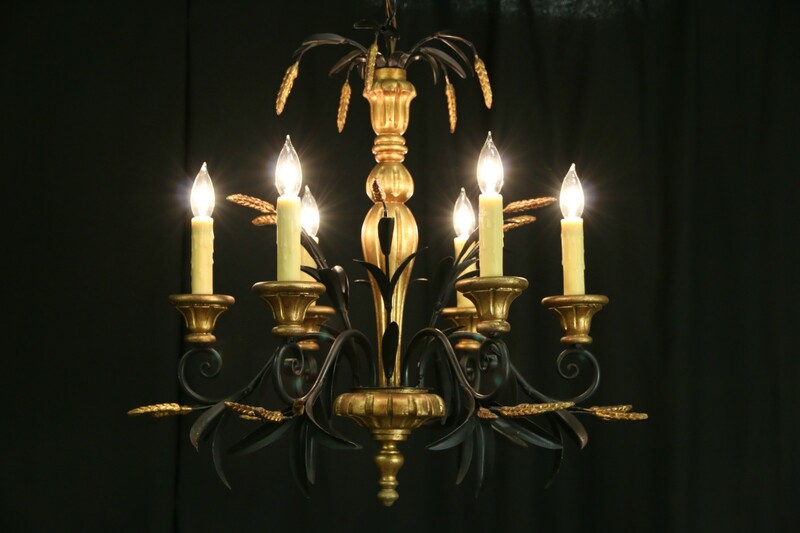 Crafted in Italy about 50 years ago, this wood and wrought iron chandelier has six beeswax "drip" candles. The original dark Florentine gold and charcoal black finish is intact on this vintage light fixture. Standard canelabra base sockets have been rewired. Size is 27" across and 27" tall, not including the adjustable chain and original ceiling cap.